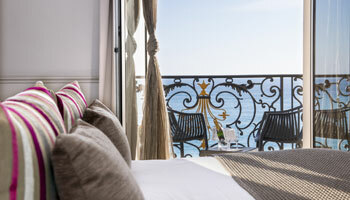 “Luxury, calm and voluptuousness”, the Deluxe Sea View Room will make your stay on Nice unforgettable. 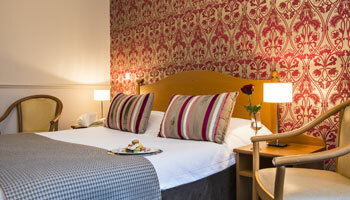 Stay in a real jewel in the heart of a sumptuous old Palace. 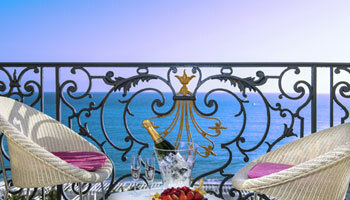 “The only way to get rid of temptation is to give in to it.” Give in to the temptation of a luxurious Privilege Sea View room at the 3-star Hotel Le Royal in Nice. Double bed (>2 m) or 2 twin beds (100 cm). Our Twin & Double Sea View rooms afford a breathtaking view over the Riviera. After a good night’s sleep, enjoy a delicious breakfast at our ‘Belle Epoque’ Restaurant. 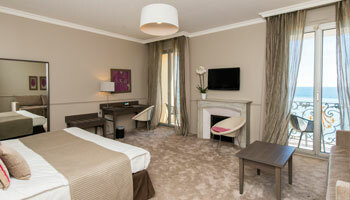 Your Twin City View room is the perfect base from which to explore the Côte d’Azur. Pizza, spaghetti, Chianti… the Italian-style Dolce Vita is just 30 minutes away from the 3-star Hotel Le Royal. 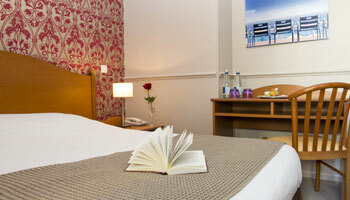 Our Single City View rooms are perfect for solo travellers coming here on business or to discover the French Riviera. Less than 30 minutes from Nice Côte d’Azur Airport and Nice railway station.